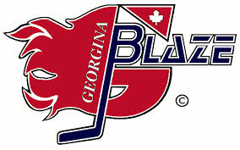 There are multiple skating opportunities in Georgina. Visit one of our facilities today! Please visit our Recreation Skating page for a list of current skating schedule and programs. 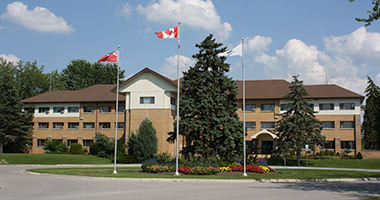 Located in the heart of Keswick, the Georgina Ice Palace offers two skating rinks. The Blue Pad can accomodate a seating of 976, whereas the Green Pad can accommodate a seating of 475. Located near the Sutton Fairgrounds, the Sutton arena has one skating rink with a seating capacity of 250. Our outdoor skating facility is located in Pefferlaw. This is a 80 x 180 ft. open air facility with hockey boards. This is an unsupervised ice pad; use at own risk. Please visit our Recreation Skating page for the daily and holiday schedules. *NEW* Thanks to funding support from the Federal Government - Canada 150 Community Infrastructure Program, the Pefferlaw Ice Pad has a NEW ROOF. Located just outside the ROC Chalet, the outdoor rink is typically open in the winter (weather permitting). Please visit the Georgina ROC website for up-to-date availability and skating schedule. Visit the Facility Booking Availability website, or contact the Recreation & Culture Department by email at eleisure@georgina.ca or at 905-476-4301 Ext. 2354 to book.